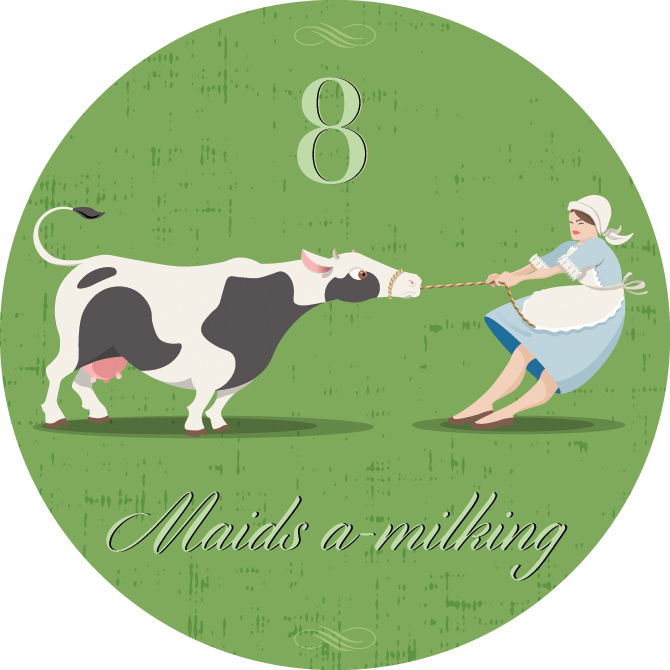 Welcome to Day 8 of my 12 Days of Christmas 2017. I am so glad you are here. If you have been following along for the 12 Days of Christmas 2017 posts you know that the theme of my 12 posts are about either thrifted, gifted or vintage Christmas presents that I am giving this year. I have a friend who is crazy for angels, all shapes and sizes, as a matter of fact she just purchased and is displaying a 6ft wire light up angel for her front lawn. 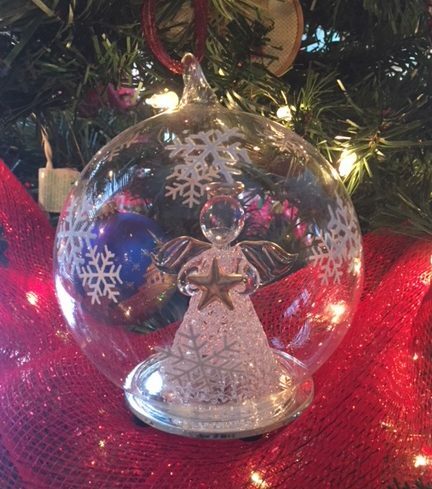 I am going to help her add to her angel collection with this lovely vintage Lenox angel Christmas ball ornament that lights up. It can be used as a tabletop decoration or hung on the tree. I had purchased this in July and had tucked it away for her for Christmas. I didn’t even realize it lit up until I pulled it out to wrap it. I think she is lovely, don’t you? It’s been a great deal of fun preparing for this event, and I can’t wait to show you what the next Wandaful Thing is – be sure to come back for Day 9. Here is a recap from days 1-7 along with links to all the Wandaful Things I created last year (2016). This entry was posted in Decorate, DIY, Make and tagged 12, 12 Days of Christmas, angel, ball, challenge, Christmas, Crafts, Decorate, DIY, easy, gift, gifted, gifts, ideas, inexpensive, light up, ornament, recycle, repurpose, reuse, simple, thrifted, vintage. Bookmark the permalink. Perfect gift for an Angel collector. Take a snap of the 6 foot one in her front lawn would love to see that!! !